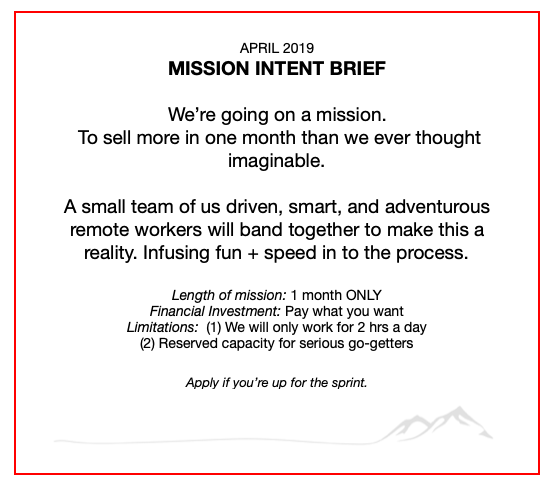 April 2019 we opened up a Sales Sprint. A virtual co-working accelerator for business owners. Picture Crossfit for Business. You show up, do great work, leaving feeling amazing. I posted the mission on Facebook and the Sales Sprint filled capacity in less than 72 hours. What is the Sales Sprint? 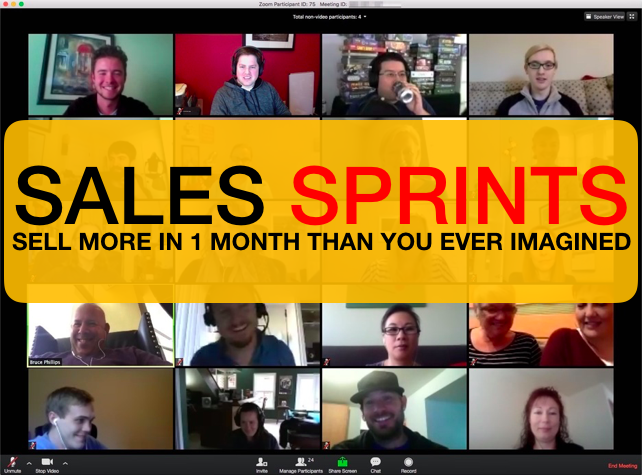 Picture this, 20 Entrepreneurs joining a virtual video conference for 2 hour time blocks to accelerate their sales. Not to talk about growth, psychology, mindset, not to strategize, but to DO THE WORK. Each day you do the ONE thing that will grow your sales, and feel the momentum and confidence that builds from the consistency. Driven entrepreneurs that know they need to be working on revenue growth activities, but keep getting pulled in to other priorities. ← 21: Ramli John – Growth Hacking to Grow Your Business.